Revisiting a movie for a sequel twenty years after the original doesn’t seem like a very good idea. It seems like a poor excuse for a cash-grab or worse, a lack of creativity. This would seem to be more of the case for Trainspotting which doesn’t naturally lend itself to a sequel. It was a complete story and a complete film. It wrapped up any necessary loose ends and was considered generally perfect by the audiences when it was first released. Revisiting this world and these characters was always going to be a risk. It seems it was a risk worth taking though. 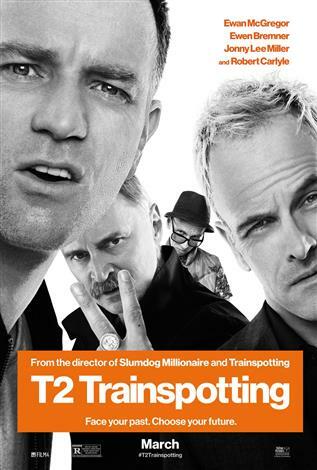 Although Trainspotting was a complete story, T2 shows that these characters have more life to them. What’s more, it is well written and at no point feels like a forced sequel, ramming the characters together with little rhyme or reason. If anything, it is an interesting look at how much and more pressingly, how little changes for people after twenty years. Revisiting these characters after both an extended period of time and the events of the last film opens plenty of opportunities and piques curiosity very well. 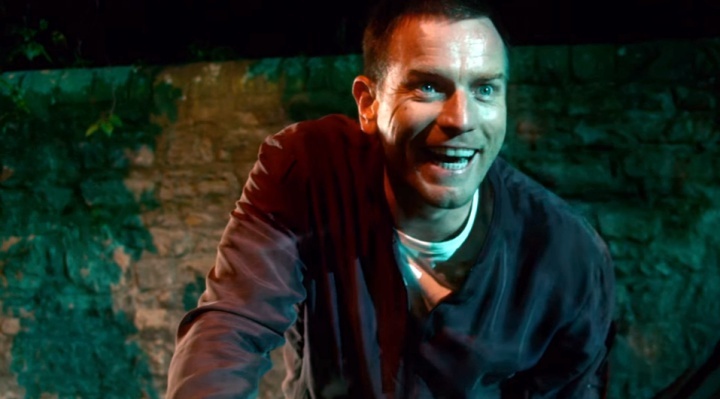 Seeing that nothing much has changed and that Ewan McGregor’s Renton is still the aimless loser twenty years later or that Johnny Lee Miller’s Sick Boy is still a conniving schemer has both some reassurance and appeal. These two characters are arguably the less interesting of the movie though. It is the two other principle characters who grow and develop from their twenty year earlier counterparts. Ewan Bremner is best known for Trainspotting’s Spud and you could argue this is his film. His character hasn’t changed but is the most sympathetic and gets the most interesting arc. Robert Carlyle just about manages to steal the movie once again though as the terrifying Begbie. Now more of a bogeyman than a real character, he stalks and terrorises scenes. It is unnerving watching him interact with any of the characters and the unpredictable nature of the character makes for a compelling watch. Trainspotting was best known for the bizarre situations it got these iconic characters into though and T2 is no different. It doesn’t have quite the ingenious situations of the first but a well-staged heist at a working man’s club or a confrontation in a club toilet show that there is still some of that old Trainspotting magic in these characters. In fact, T2 works as a well-staged love letter to the original. It updates key moments and shows how much time has changed our perception of these iconic scenes. Instead of running from police to Iggy Pop, it is Ewan McGregor on a treadmill, running nowhere; the choose life speech which exemplified the 90s is now updated to include references to social media and coffee shops. The world has moved on and these characters feel left behind or worse, frozen in time. Unfortunately, the love letter aspect also means that T2 plays too heavily on the previous, beloved movie. Scenes and moments are referred to which don’t seem to fit with what these characters would remember. A forced “greatest hits” of great iconic from Trainspotting jars with how exactly these characters would interact and what they would talk about. Overall, T2 shows that some movies and characters can be revisited and manage to live on long after the movie has finished. This is an achievement in how to make a prolonged sequel, showing how time changes all except who people really are and the original Trainspotting characters were perfect examples. Some pigeon-holed links to the original clash slightly but don’t make this am embarrassing addition to the overall story.